Osamu Tezuka is often credited with being one of the pioneers of "story manga"-- long, narrative comics for adults. His stories frequently run thousands of pages and comprise dozens of volumes. He is known in America (though not by name) as the animator of Astro Boy and Kimba, the White Lion. Adolf, his last major work before his death in 1989, is his first full-length work available in English. 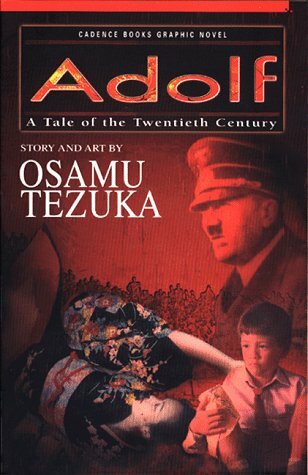 It's the story of three individuals named Adolf: a Jewish boy living in Japan, a half-Japanese/half- German boy, and the leader of Nazi Germany. This is a wonderfully fresh perspective on the events of World War II. If you have any questions about this product by Cadence Books, Inc., contact us by completing and submitting the form below. If you are looking for a specif part number, please include it with your message.